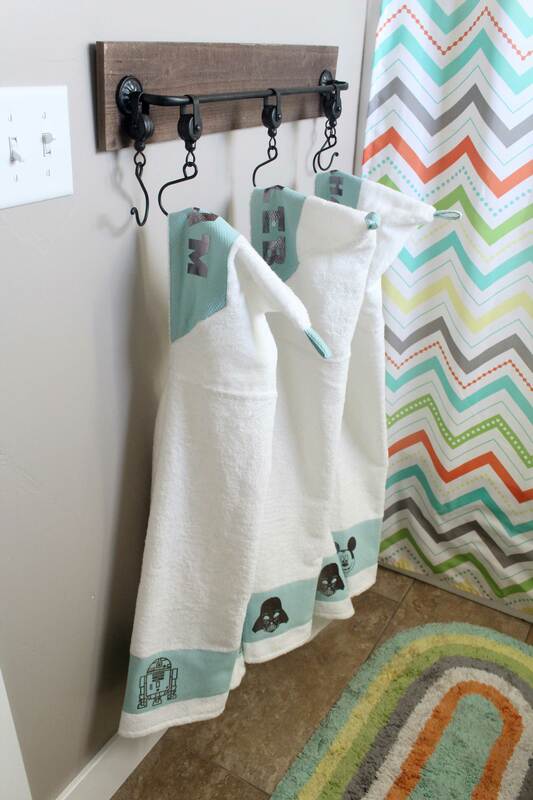 These fun DIY towels were created using the new Cricut Easy Press and Cricut Foil Iron-On. 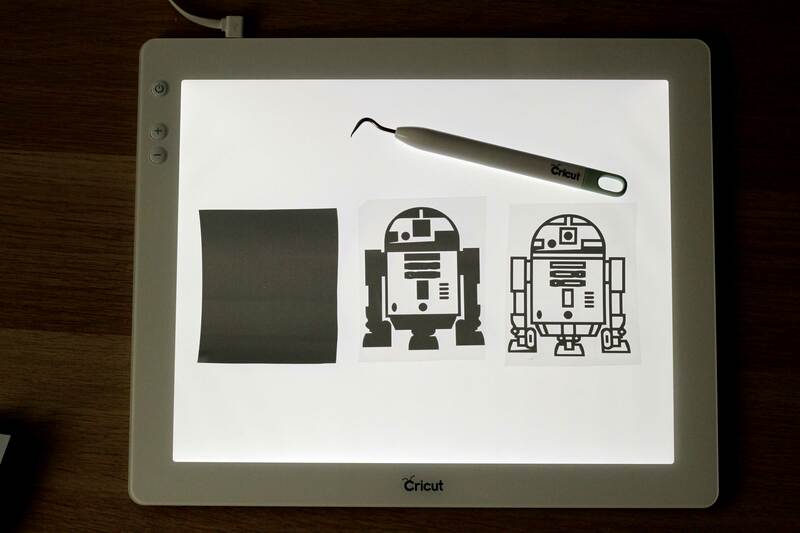 Easily personalize a homemade or store bought item into something special with these amazing products from Cricut. 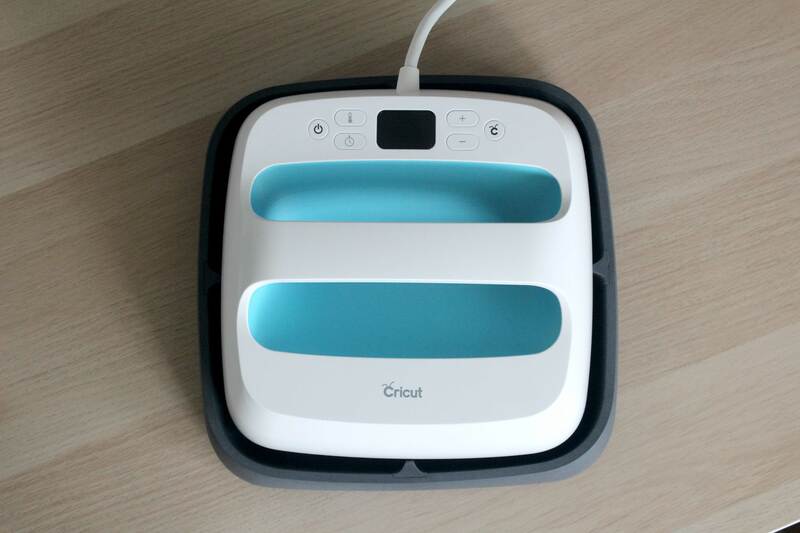 The Cricut Easy Press is an at home heat press. Before the Easy Press the Heat presses that were available were very big, bulky and could be very dangerous. The traditional heat press had 2 plates that would open up like a sandwich. You would place your material inside carefully making sure not to burn yourself, and then pull down the lever and press. 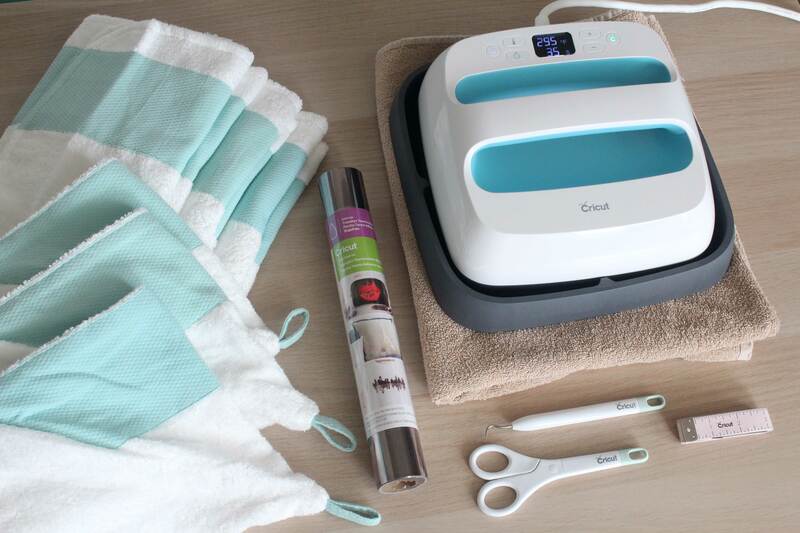 Cricut has recreated the heat press making it easy, convenient, and safe to use at home. You can see from the photo above the Easy Press sits in a base. This gives you somewhere safe to set your press down while it is hot. The large handle allows you to easily grab the press and move to your project without getting hurt. WHY THE EASY PRESS VS. THE TRADITIONAL IRON? Do you know that the front of a regular iron is different temperatures the the back of the iron? The problem with this, is when you are trying to transfer your Iron on material to your project, you may not be giving it even heat. This will result in the HTV (heat transfer vinyl) pulling up. This is why the introduction of the Easy press into your craft space is so awesome!! The bottom of the press is a solid, square, surface. Giving you a very large space to press at one time. The press has even temperature and is designed to give even pressure with a slight lean on to the press when applying your HTV. 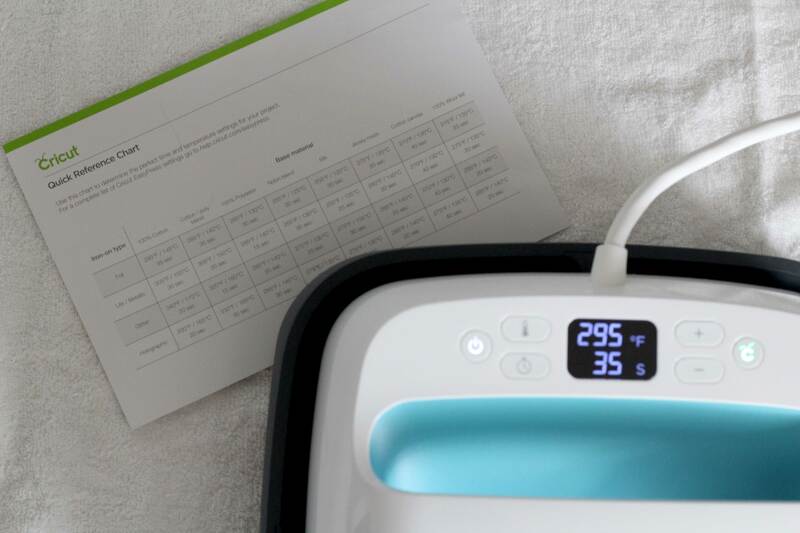 The buttons on the Easy Press allow you to choose the desired temperature and set the timer. use the Plus and Minue buttons to adjust both. 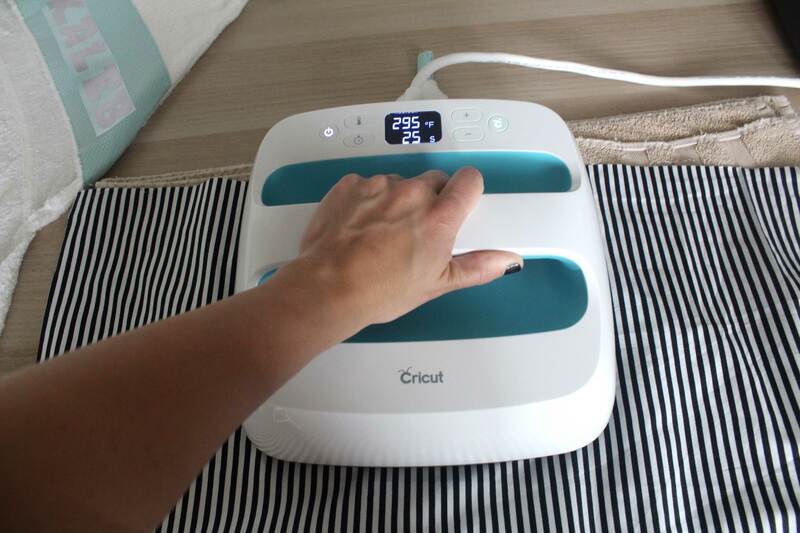 When you place the press on the project, click the Cricut Logo button to start the timer. I tested the easy press out on this DIY project. 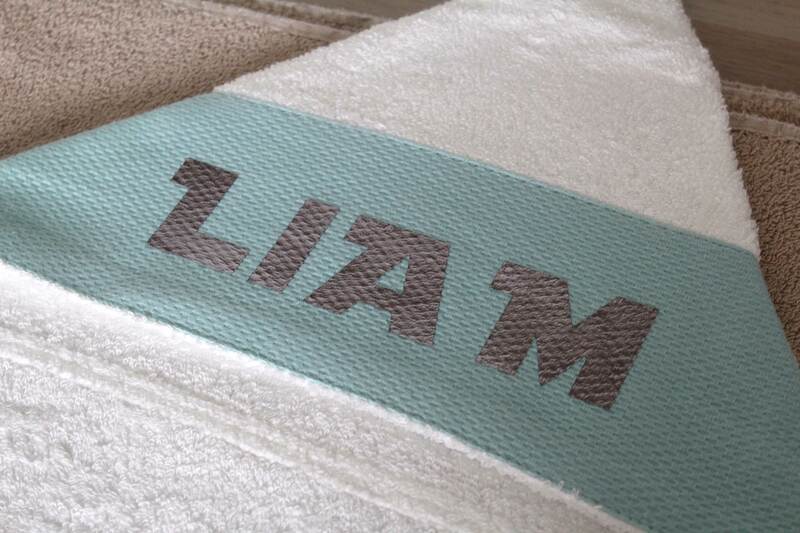 Customized Towels – These are so fun and would make great personalized gifts. MATERIALS USED- CLICK ON LINKS BELOW TO PURCHASE. I got the cute towels from IKEA. 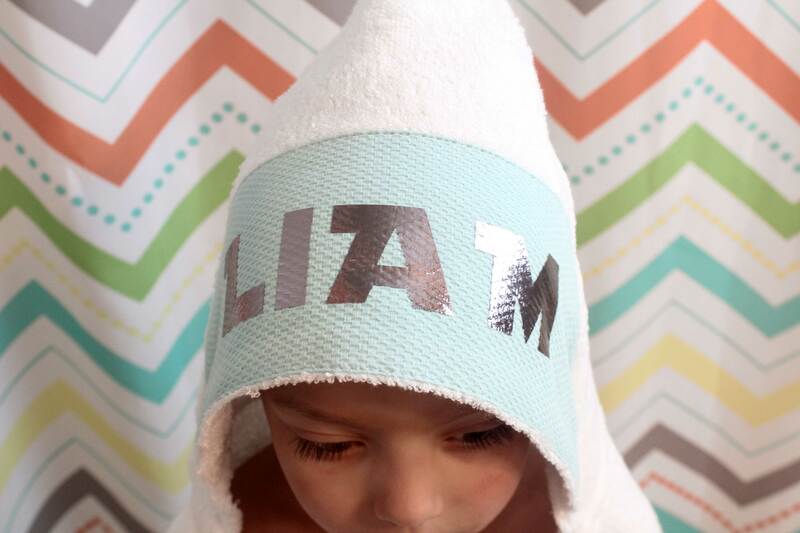 They were only $9.99 and already had the cute blue trim on the hood and the bottom of the towel. I wanted to make the kids something cute they they loved but, I also wanted it to look cute and match the bathroom decor. I opted for letting them choose a character they wanted on their towel. I used the Pewter- foil iron on for all the images and names. I liked the shine that the foil added to the project. 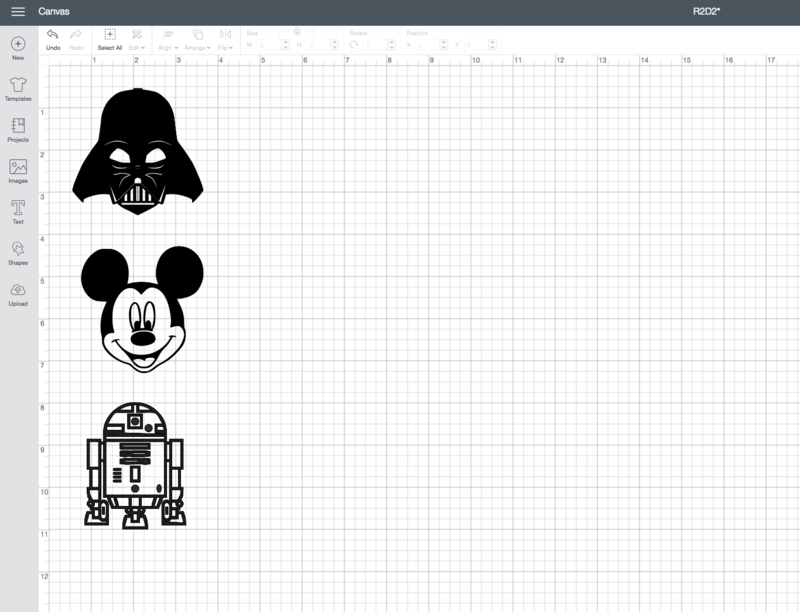 My boys chose, R2D2 and Darth Vader from Star Wars, and I made babies a Mickey Mouse one since that is his favorite. 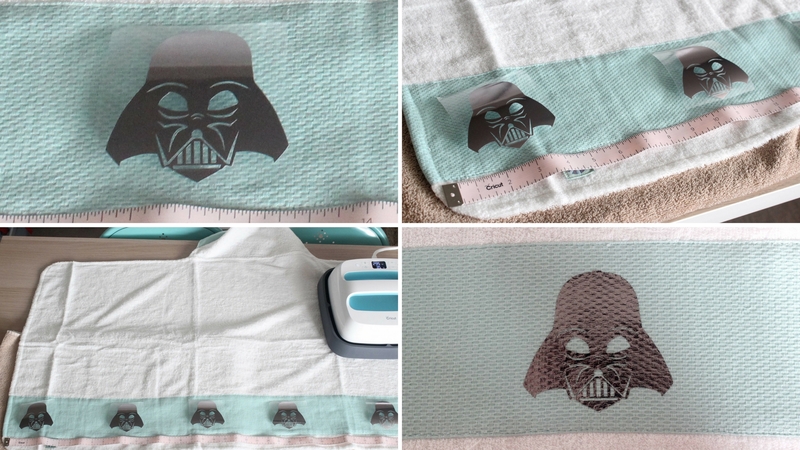 I found the Star Wars images in an SVG file from this cute Etsy Shop. LINK BELOW. 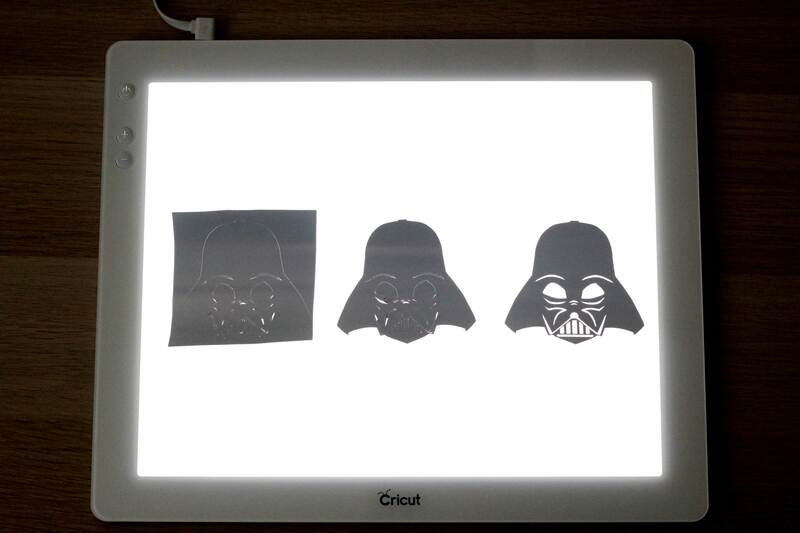 Upload the images in to your Cricut design space. The Star wars ones came with a file that made them all separate, so you will want to use that one. When you upload them you may not be able to see the Star wars ones right away. Zoom way out and way over to find the image on the canvas. Mine was way far over to the right and super big. 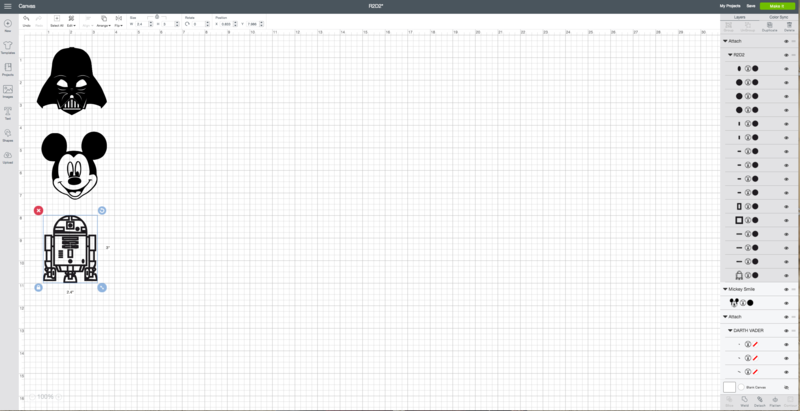 Resize and move over to the left of the canvas so you can work with it. Measure your space and size your images to how big your would like them. 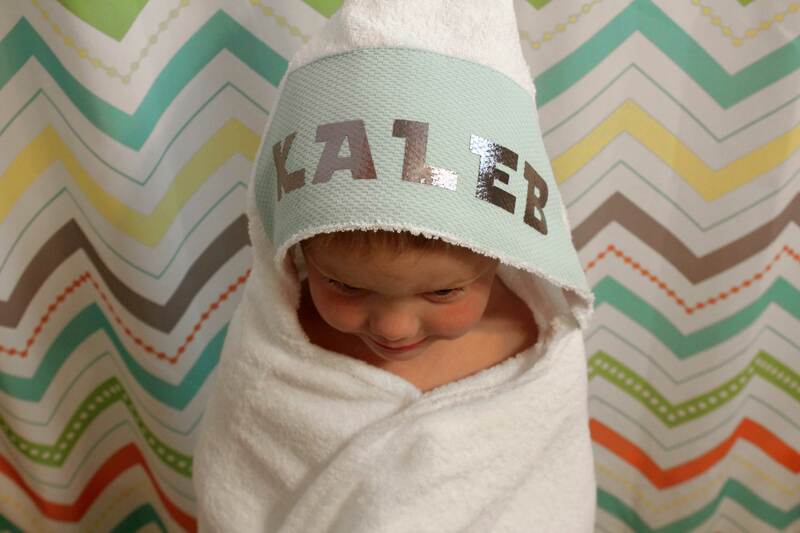 I wanted my images to be 3 inches tall to go around the bottom of the towel. The R2D2 and the Darth Vader need to be Attached. The images are pieced together but we want them to cut as one. Select one of the images. In the bottom righthand corner of the canvas, click attach. Once the 2 images are attached and all images are sized to what you want, click make it. at the top of the mat page click on 6 copies. The program will then duplicate each image 6 times. MAKE SURE AND TURN ON THE MIRROR IMAGE. Click make it . Choose the material Foil Iron On. and click GO. Once all the images are cut remove from machine and cut all images apart. Add the names. 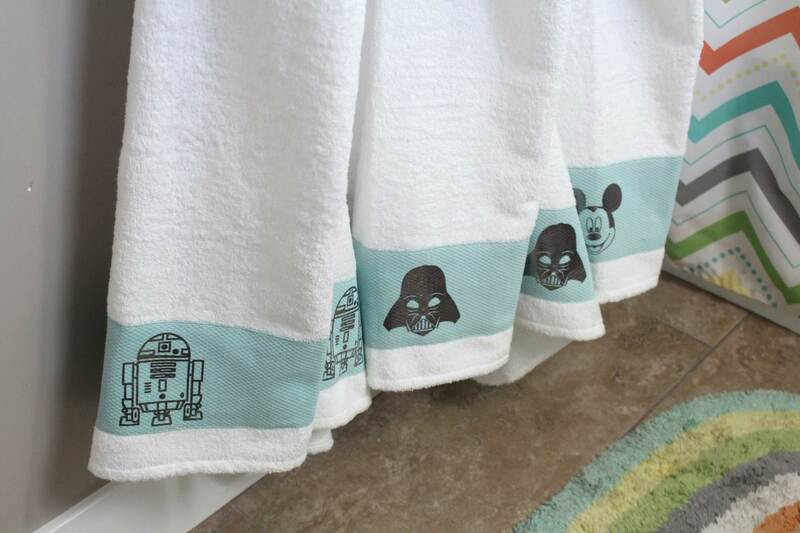 I used the Star Wars font for the 2 towels and mickey mouse font for the other. TURN ON MIRROR IMAGE. Click make it. Choose Foil Iron-On material. CLick GO. 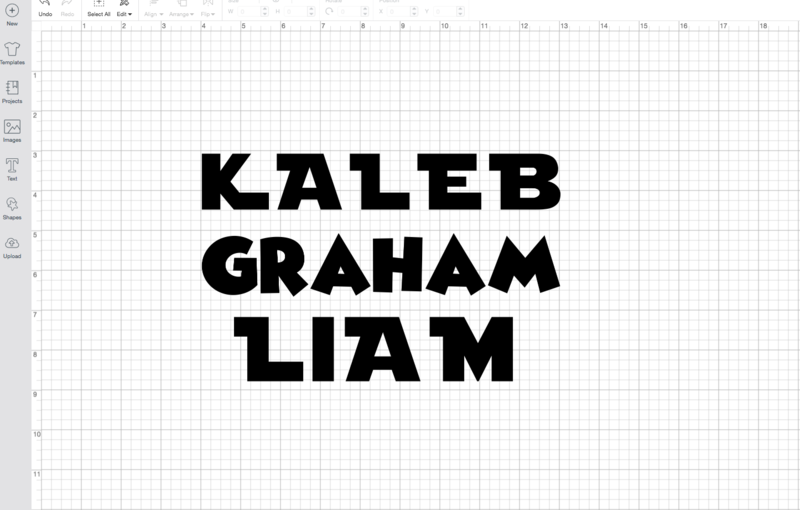 remove, cut apart, and weed each name. Set aside for later. 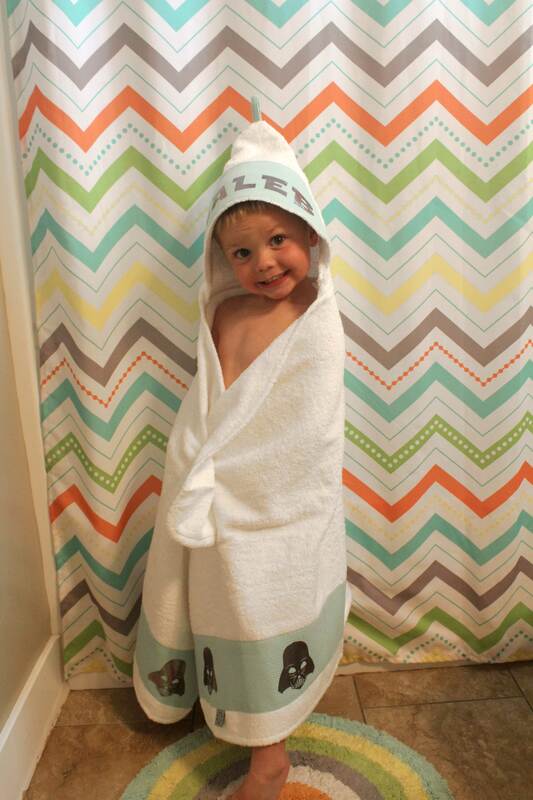 Lets start with the R2D2 Towel. 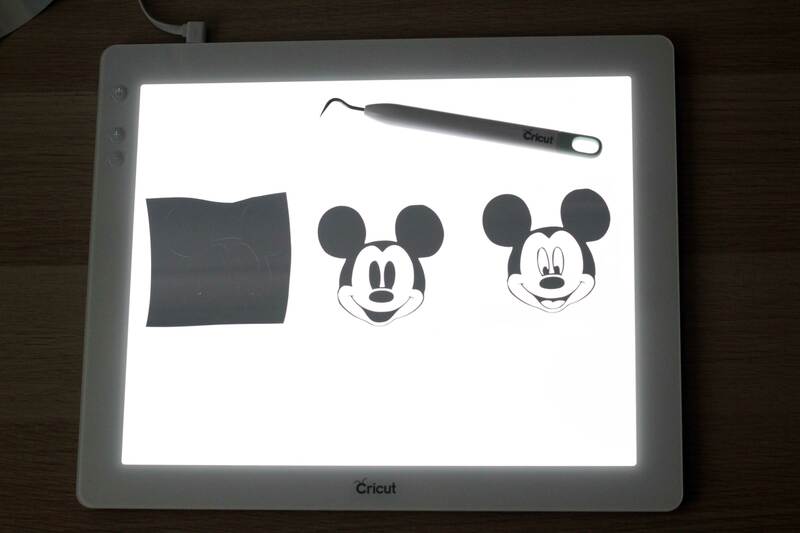 Using the Cricut Brightpad, weed out the image. Get the Easy Press heating up. Using the quick reference chart, choose the correct temperature according to the iron-on material type and the project material type. I love this cheat sheet! Makes it a no brainer when choosing temperature and time. Foil Iron-on and Cotton material required 295 degrees for 35 seconds. Place each image onto your towel. 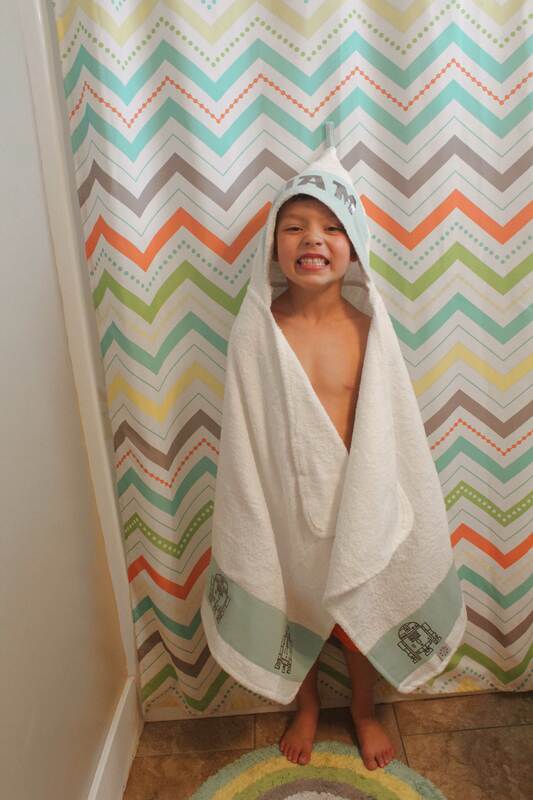 Using a measuring tape, spread out your images evenly across the towel. Place another folded towel under your project before using the Easy Press to protect your table. DO NOT USE AN IRONING BOARD. A folded towel will give you a better result. Warm the application area. place image where you want it to be, and place press on top. Click the Cricut Logo button and the timer will count down. Slightly lean on the press to give it a little pressure. When the timer beeps place the Easy Press back on the base. Allow the image to cool completely before removing the plastic. After I removed the plastic liner I went back over the images again for 15 seconds using a light cloth on top. Since the material I was attaching it to had a mesh, I wanted to just make sure it was really really adhered. Here is the before and after pressing it a second time. Can you see how it melted just a little bit more into the mesh? Now add the name onto the Hood. 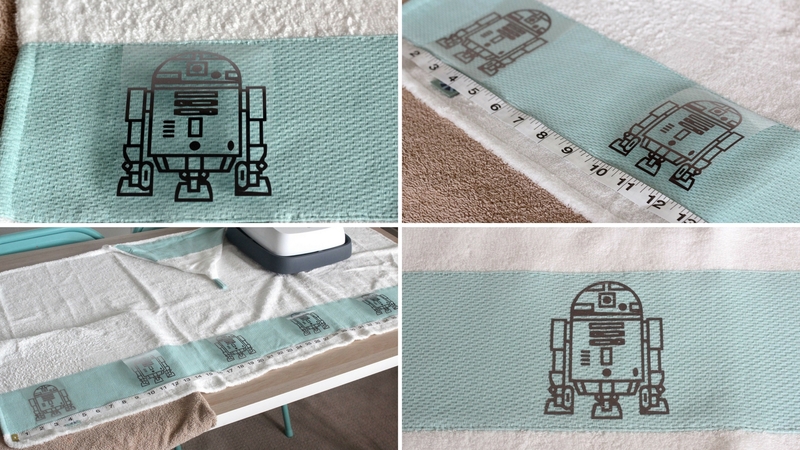 R2D2 Towel complete. My little guy was very excited and couldn’t wait to use it! 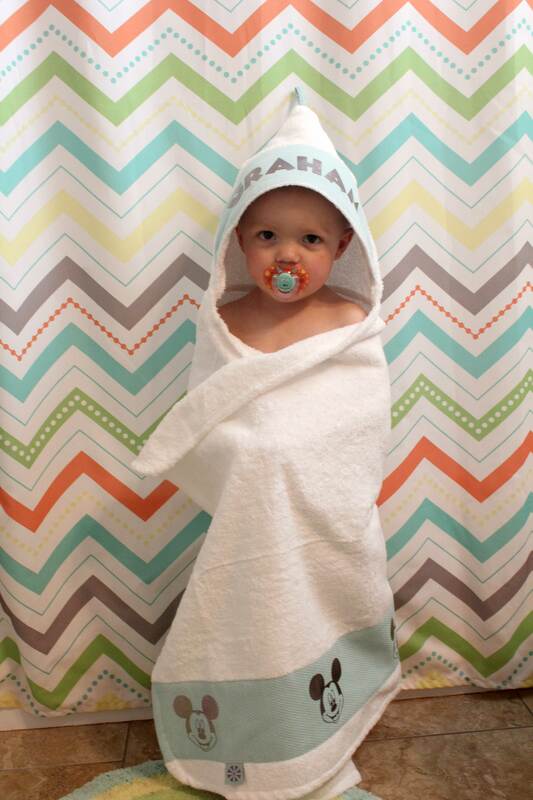 Place each image onto your towel. 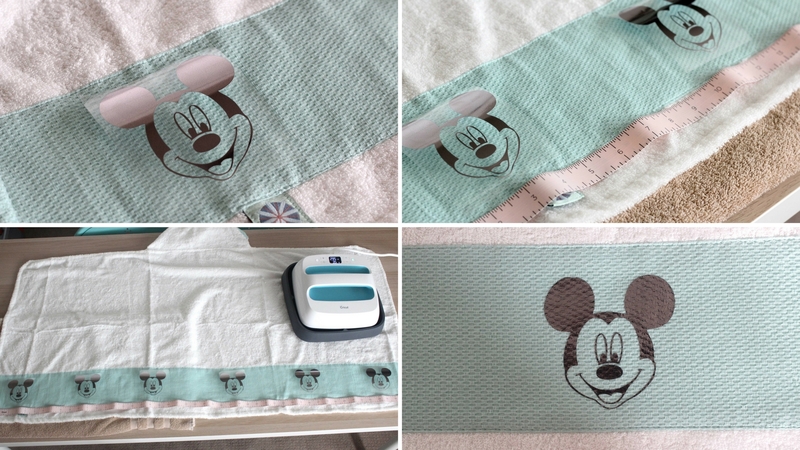 Using a measuring tape, spread out your images evenly across the towel. 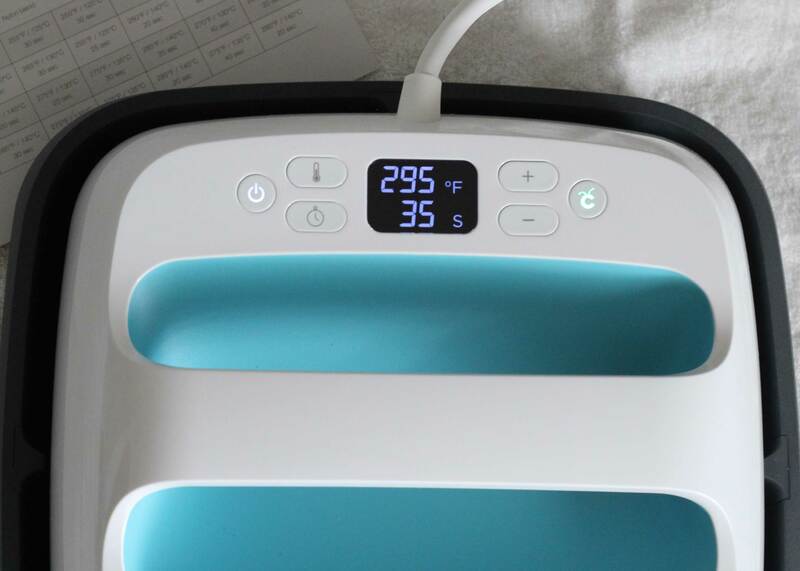 Place another folded towel under your project before using the heat press to protect your table. DO NOT USE AN IRONING BOARD. A folded towel will give you a better result. Warm the application area. Place image where you want it to be, and place Easy Press on top. Click the Cricut Logo button and the timer will count down. Slightly lean on the press to give it a little pressure. When the timer beeps place the Easy Press back on the base. Allow the image to cool completely before removing the plastic. Place each image onto your towel. 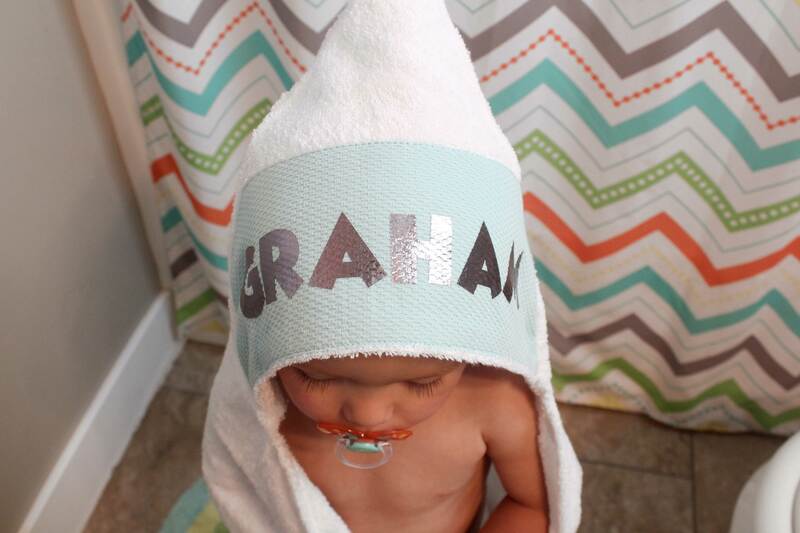 Using a measuring tape, spread out your images evenly across the towel. Place another folded towel under your project before using the Easy Press to protect your table. DO NOT USE AN IRONING BOARD. A folded towel will give you a better result. Warm the application area. place image where you want it to be, and place press on top. Click the Cricut Logo button and the timer will count down. Slightly lean on the press to give it a little pressure. When the timer beeps place the Easy Press back on the base. Allow the image to cool completely before removing the plastic liner. The Easy Press made this project so much faster. I love how easy it was to use. I like that is is small enough to be able to store on a shelf. I love the Safety base it comes with and that it has an auto shut off mode! Great for safety in the home. I absolutely love the Easy Press and I will be using it for all my HTV projects! My Vinyl went on perfect and stuck all the way no fuss involved!! I hope that this gave you a good idea of how the Easy Press works. I would 100% recommend this item. If you have any questions please leave them below i would love to help you out with any questions that you have! Come back soon for more HTV projects and more!! !